Larger than the island of Manhattan in New York, Dallas/Fort Worth Airport is massive and is the largest connecting hub for American Airlines, which uses gates in all five of the airport’s terminals. The 22-mile drive east to downtown Dallas takes about a half-hour in normal traffic. Downtown Fort Worth is 25 miles west of the airport and takes about 35 minutes in normal traffic. Four of the airport’s five terminals opened when the airport opened in 1974 and have floor plans in the shape of semicircles that in the days before strict security were designed to give passengers short distances between curb and their gate. The fifth terminal, Terminal D, was opened in 2005 and adapts that design to make more efficient use of the space with today’s requirements. Terminal D also offers direct access to a Grand Hyatt Hotel. 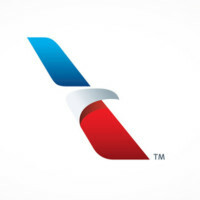 American Airlines flights arrive and depart at gates in the A, B, C, D and E terminals. The Skylink automated train allows passengers to make connections between terminals without exiting the TSA secure area. Trains operate every 2 minutes and the maximum amount of time it takes to travel between the farthest points is 9 minutes. The average ride takes about 5 minutes. Walkways also allow connecting passengers to go between the A, B, C and D terminals. The E terminal is accessible only via Skylink. Arriving passengers on international flights who have not pre-cleared U.S. Customs at their departure airport must exit the TSA secure area at DFW and be re-screened but then can use the Skylink to go their connecting gate. American Airlines has check-in counters and baggage claim in each terminal. Home to Southwest Airlines, which is headquartered at the airport, Love Field’s history goes back to 1917 as an Army pilot training facility. It became a commercial airport 10 years later after it was purchased by the City of Dallas. It served as the city’s main airport until Dallas/Fort Worth International Airport was opened in 1974 and most airlines were required to move there. Southwest Airlines, which started operations in 1971, refused to move from its home airport, prompting lawsuits and legislation, including passage of the federal Wright Amendment in 1979 that prohibited airliners with more than 56 seats from flying between Love Field and any airport outside of Texas or its four contiguous neighboring states (later amended to also allow flights to the states of Alabama, Kansas, Mississippi and Missouri). As Southwest grew from a regional airline, it stepped up its legal challenges and the Wright Amendment law was finally repealed as of October 16, 2014. As part of the compromise that lead to the repeal of the Wright Amendment, the Love Field terminal is limited to 20 gates for airlines. Downtown Dallas is about 7 miles southeast of the airport, or about a 20-minute drive in normal traffic. The airline terminal, 8008 Herb Kelleher Way, was completed in 2013. 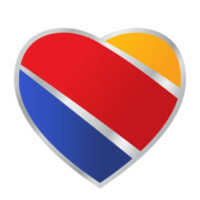 Eighteen of the 20 airline gates are used by Southwest. The layout is a terminal building for check-in counters and baggage claim with a ‘T’-shaped concourse. All gates are behind a single TSA-security checkpoint. Southwest Airlines flights arrive and depart at gates 1-10, 12, and 14-20. Connecting passengers can reach all gates without exiting the TSA secure area. Big D (Dallas) and Fort Worth, with Arlington in between, anchor what they call the Metroplex. It’s a name they came up with in the early 1970s about the time they were planning to build Dallas-Fort Worth International Airport. The Metroplex is made up of 13 counties and about 200 place names ranging from little Corral City, with a population of less than 30, to Dallas with a population of more than 1.3 million. Texans like to boast about big things and they say the 9,286 square miles that make up their Metroplex is larger than the land areas of six U.S. states and about the size of the state of New Hampshire. The region is diverse. Dallas owes most of its growth to the boom as an oil town. Fort Worth promotes its image as a cow (cattle) town. And Arlington is home to the NFL Dallas Cowboys, Major League Baseball’s Texas Rangers and the original Six Flags theme park. See the Visit Dallas’ website here. Visit Fort Worth’s website is here.